REV. NATHAN SPALDING. The Spaldings are of English origin. Three brothers emigrated to this country from the town of Spalding, in the north of England, about the year 1690, and settled in Massachusetts and New Hampshire. Jason Spalding, father of Nathaniel, was of the New Hampshire branch, and near kin to the celebrated Dr. Lyman Spalding and to Rev. Solomon Spalding, the real author of the Mormon Bible. In early life he removed from New Hampshire to Vermont, where he married Lucy Goodell, whose mother, Levisa Warren, was second cousin to Dr. Joseph Warren, of Bunker Hill memory. In 1822, Jason removed to Beekmantown, N. Y., where the subject of this sketch was born, Aug. 24, 1826. Though nurtured and trained by pious parents, he was early inclined to skepticism, but the faithful counsels, the prayers, and the Christian example of a noble mother were made at length the instruments of his conversion at the age of seventeen. This event wrought an entire change in his plans of life. He was turned from his purpose of studying law to that of entering upon a course of education with a view to the ministry. He depended entirely upon himself for means to obtain his education. He graduated at Union College in 1852, and was appointed pastor of Ohio Street Methodist Episcopal Church, West Troy. In 1853 he became pastor of the Methodist Episcopal Church at Sand Lake, N. Y., where he was united in marriage with Harriet, daughter of Dr. Russell and Polsa P. ( Bull ) Dorr, of Chatham, N. Y. Mrs. Spalding is a graduate of Troy Female Seminary, and was for some time a teacher at Poultney Seminary, Vt. In drawing and painting she has exhibited considerable talent, as many of her pieces will show; two of which, viz., a View of Mont Blanc and the Castle of Chillon, deserve especial mention, as they have taken prizes. 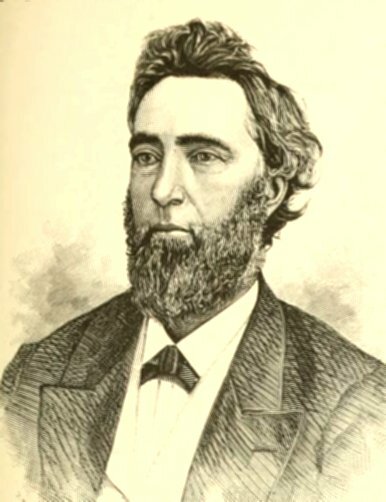 Mr. Spalding was stationed successively in the ministry, after his removal from Sand Lake, at Fultonville, Greenbush, Gloversville, Albany, and Saratoga Springs, at which latter place, when at the early age of thirty-six, and in the midst of a successful ministry, he was stricken down with disease, and after three months of terrible suffering was left an invalid for life. But undaunted in spirit, he subsequently accepted the pastorate of the Methodist Episcopal Church at Johnstown, N. Y., when, after serving the church a few months in feeble health, he accepted the principalship of the Amenia Seminary, thinking that a change would be conducive to his health. The next year he accepted the presidency of the Fort Plain Collegiate Institute; but his health still remaining impaired, he reluctantly gave up his chosen profession and returned to Chatham, when, relieved from the duties of church and school work, he began slowly to recover, and turned his attention to business pursuits. He now occupies the pulpit occasionally, and may resume his pastoral labors should he regain bis health. He became general agent of the Home Life, with an office at Albany, and engaged in real estate operations. 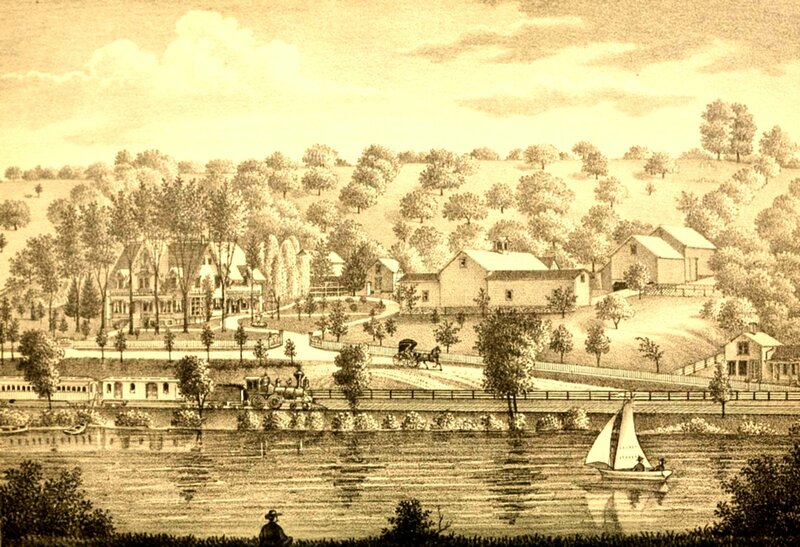 He purchased the country-seat of the late George Van Santvoordt, of Troy, at Schodack Landing, N. Y., called "Fountain Dell Place," where he now resides, a view of which may be seen on another page of this work. Mr. Spalding was recognized in the pulpit as an accomplished speaker, as a man of classically pure and chaste expression, and a strong advocate of the principles of the Christian religion. As a teacher, he had ability to impart to others the knowledge with which his own mind was stored in a simple and expressive way; and now, as an agriculturist, he is able to combine the thought and meditation of the scholar and the exercise and practice of the farmer. The former was acknowledged in his membership of the Phi Beta Kappa Society, and the latter may be seen in a visit to his residence. His eldest son, Dorr, died in early life, and was buried on Sunset Lawn, Albany Rural Cemetery. His second son, Warren C., born in Greenbush, is a student in the Albany Medical College. Harriet Mabel is a graduate of the Albany Female Academy, and is a writer of some promise. His youngest son, Nathaniel Bull, is in the Albany Boys' Academy. Fountain Dell Place, Residence of Nathan Spalding, Schodack Landing, N. Y.